Roohome.com – Do you still looking for apartment design for your place? What kind of design that you want? Now we would like to share about modern vintage apartment design that you can see to give an inspiration for you. 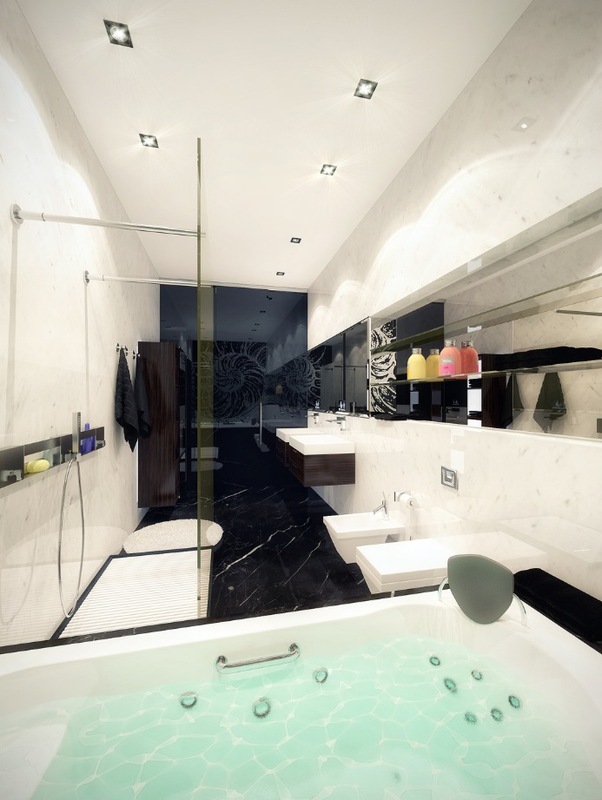 Most of the people surely want to design their place to become more stunning and attractive. So you must have a plan to think this modern vintage apartment decorating ideas that you can apply for your room. 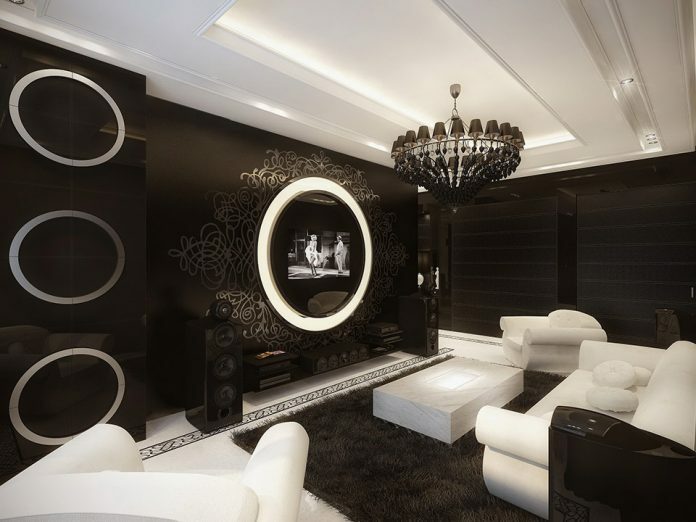 Design apartment with black and white color shade also suitable for you. Let’s to see the kind of design below. 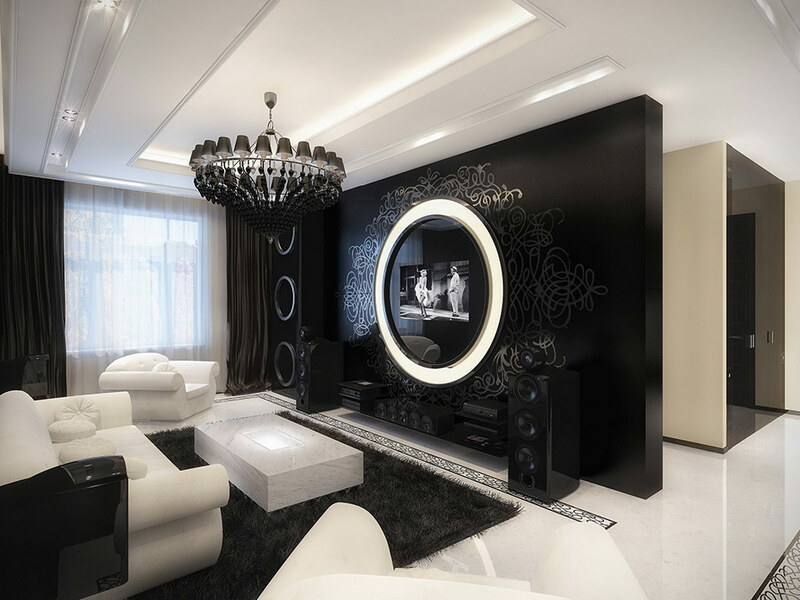 You should think for the part of the living room, this apartment combining a modern design and little bit vintage decor decorating with black and white for your living room also you may apply it right now. You can use a whole of your wall painting combine with black and white color shade. Then, you may also combine with black colors which apply on your bed or a curtain. 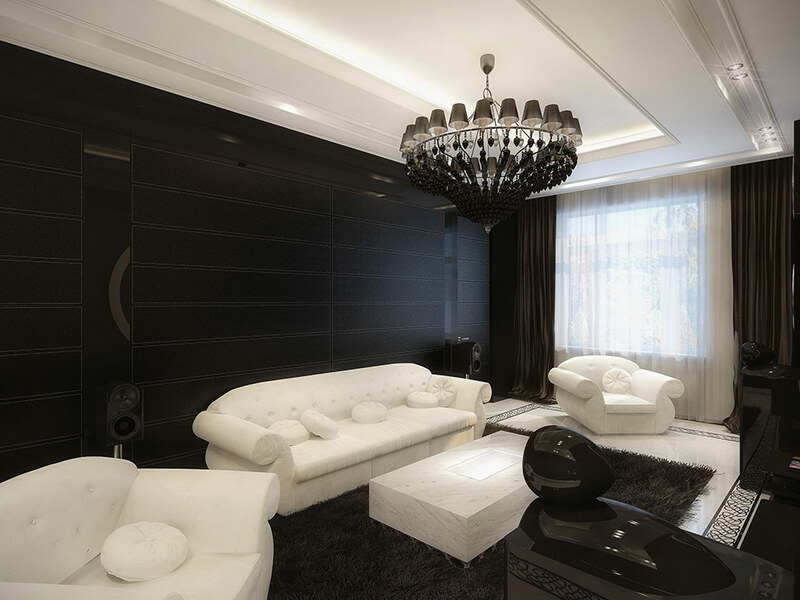 After that, you may add modern chandelier which is very suitable for making your modern living room in your modern vintage apartment decorating ideas more beautiful. To complete your design you may decor part of the wall with a classy design. For the sofa, using a white color that can make the design looks so perfect. For the dining room and kitchen, you may decor with the same theme. This design still using modern decor ideas inside. 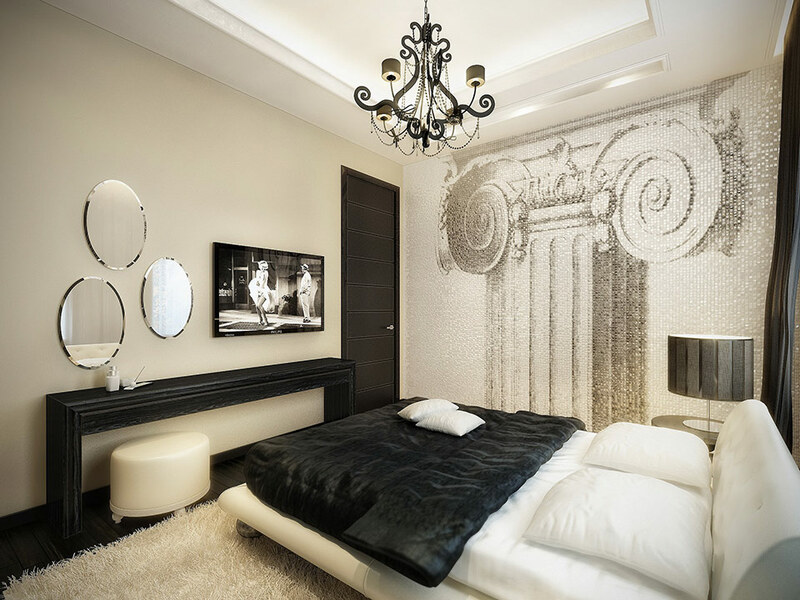 The room keep uses a monochromatic theme design to make the room more stunning and perfect. You could smart to choose a suitable decor furniture that can complete your modern vintage apartment design. 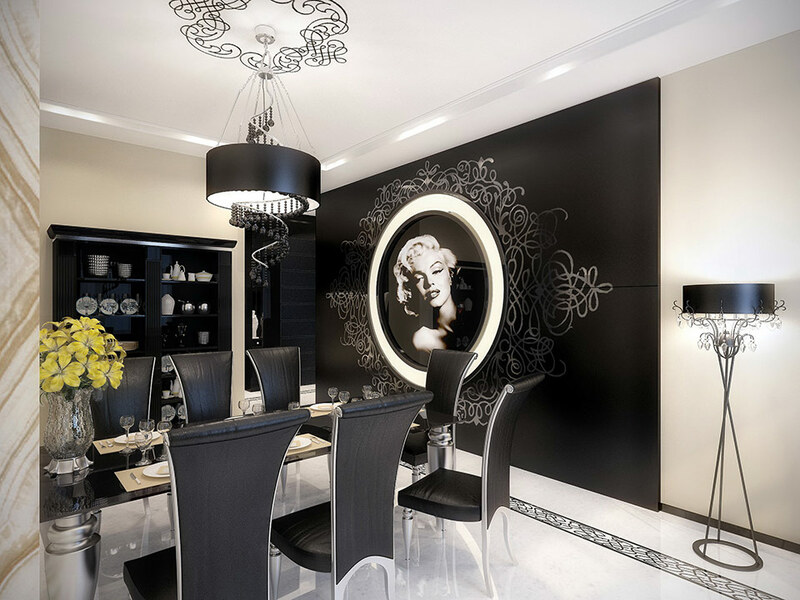 For that, this modern dining room decor, you may add a Marilyn Monroe’s picture design so that the wall does not look empty. 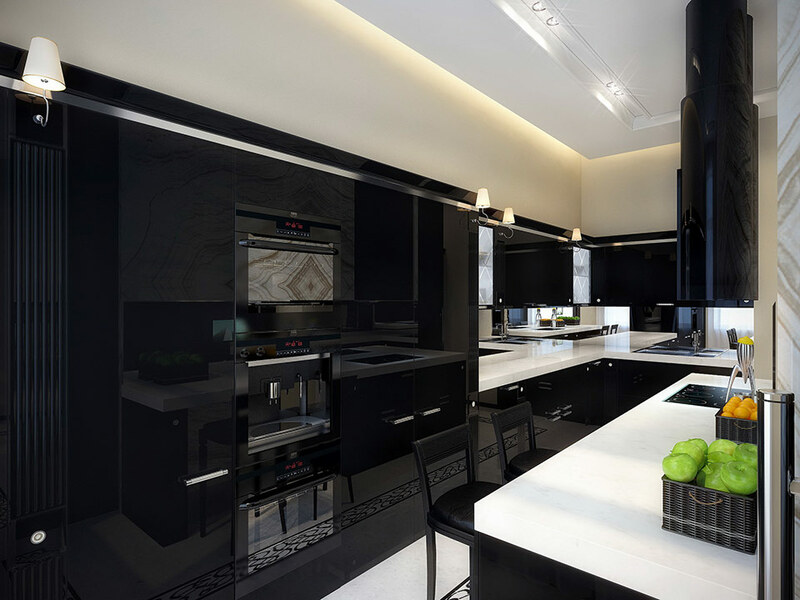 Then, for the kitchen, it is possible if you use a simple cabinets design. Then, you use a backsplash design to keep your living room cleaner. 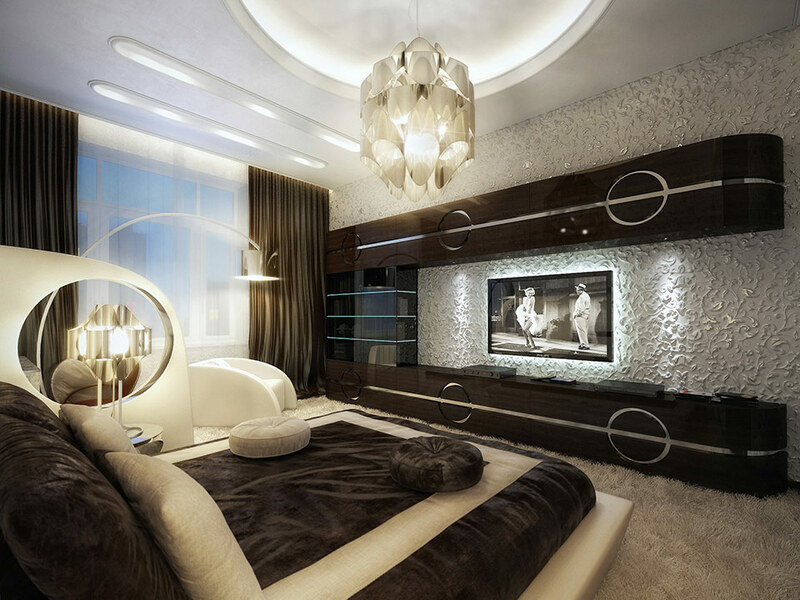 The next is modern vintage apartment decorating ideas with black and white color theme for a bedroom that looks so stunning for your room. You can use a whole of your wall painting by white color shade. Then, you may also combine with black colors which apply on your bed. 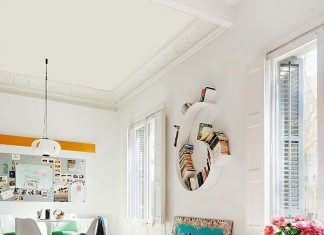 After that, you may add classic pendant light that is suitable to support your vintage bedroom design in your apartment. 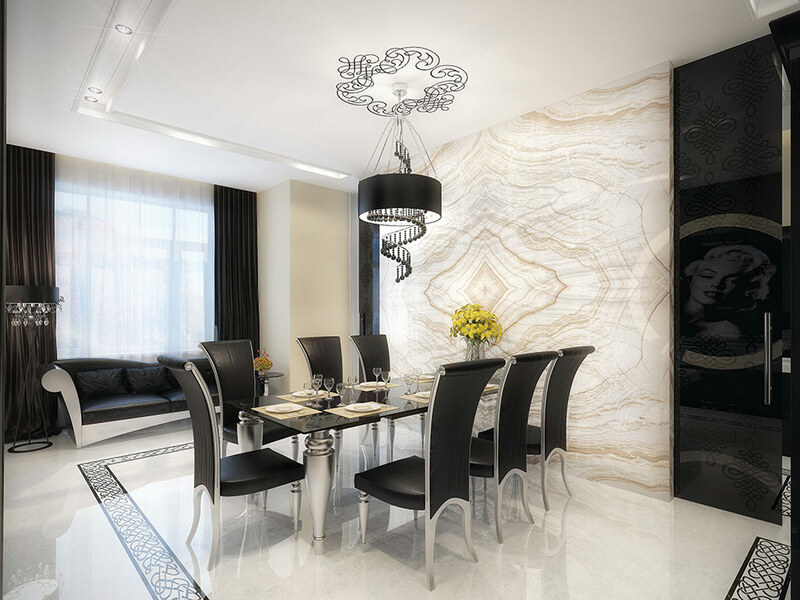 To complete your design you also can use a perfect wall feature decor ideas to make your design looks stunning and awesome.